It is with great sadness that we mark the passing of our dear friend, colleague, and mentor, Alan Jabbour. Jabbour was a champion in the field of folklore who made strides for the inclusion of folk and traditional arts on a national platform. Notably, Jabbour was the head of the Archive of Folk Song at the Library of Congress before moving on to become the director of the folk arts program at the National Endowment for the Arts. Eventually, Jabbour went on to become the founding director of the American Folklife Center at the Library of Congress. Jabbour is known for his work documenting the songs of old-time musicians and was an accomplished fiddler in his own right. He is also noted for his contributions to vernacular architecture through his work with Traditional Cultural Properties. 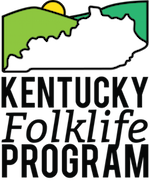 In 2013, the Kentucky Folklife Program and WKU’s Department of Folk Studies & Anthropology were lucky enough to host Jabbour, along with Ken Perlman on the banjo, for a concert in our Pioneer Log Cabin. Jabbour’s passing is certainly a great loss to our field of folklore, but his legacy will no doubt live on through his work and through those he mentored and encouraged along the way.